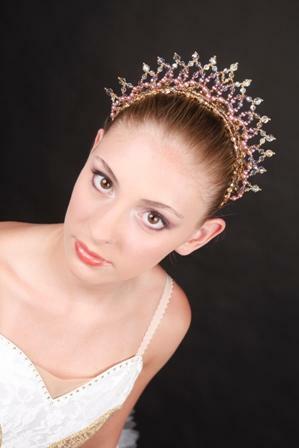 Petal is a handmade crystal and pearl beaded tiara. 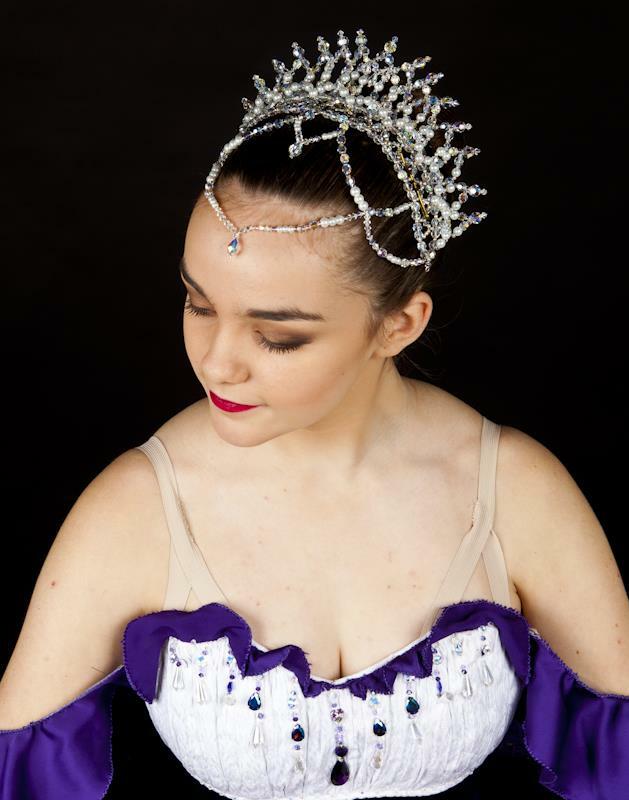 A beautiful and practical design this tiara made from combination of quality Swarovski Crystal, and shiny glass pearl beads. 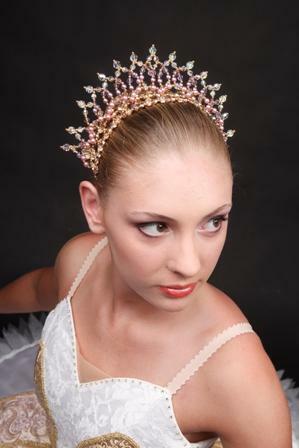 The headband has a combination of Swarovski Crystal and Czech Fire Polished Crystal beads. 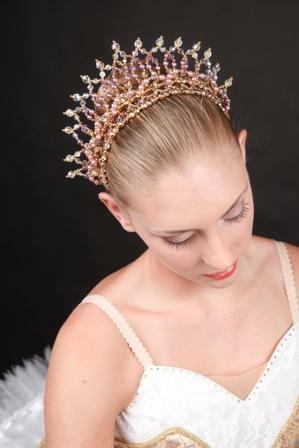 The Peal Tiara is full size and designed to be worn by dancers aged from 11 years. 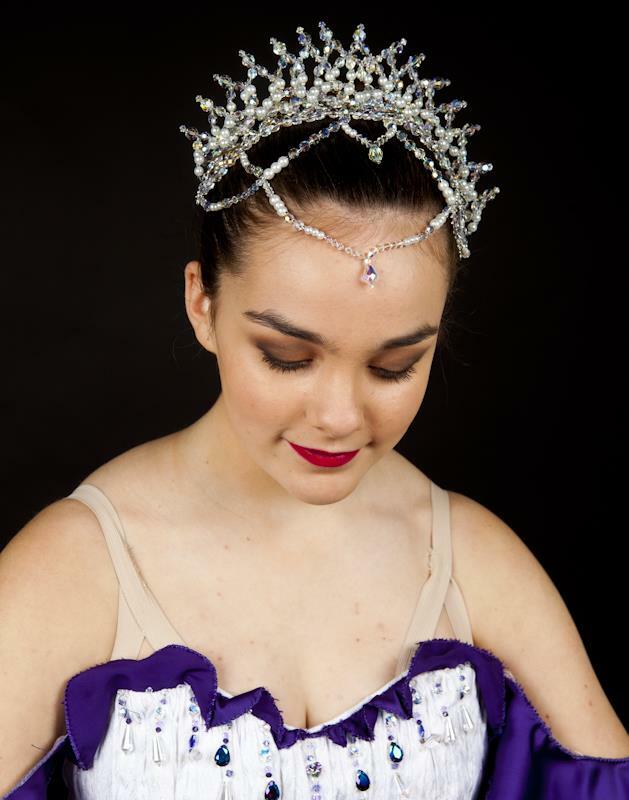 The headband span measures 23cm. 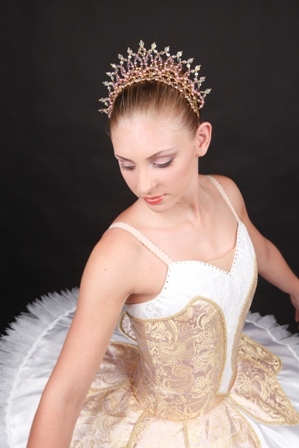 The Petal Tiara is 6cm tall in the middle of the tiara tappering down in height at the sides. 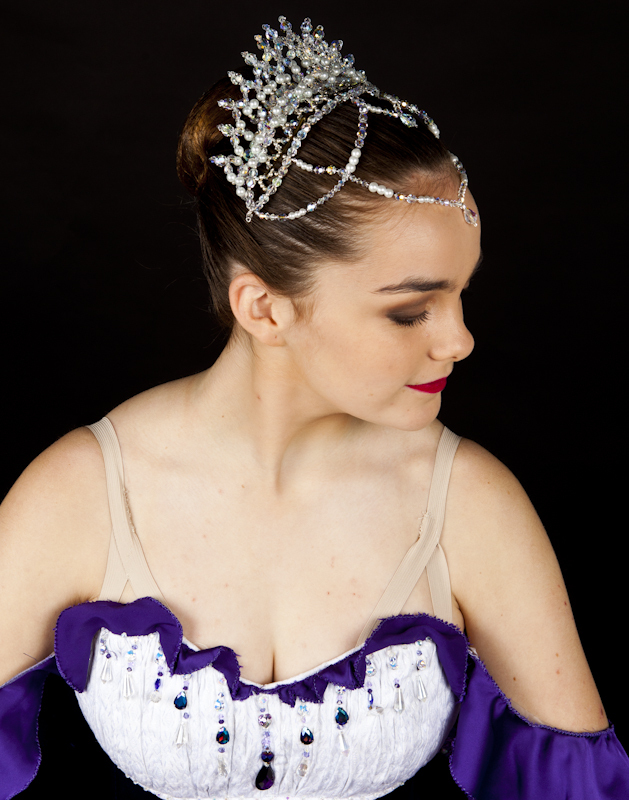 The clever design of the headband allows for bobby pin placement to ensure the tiara doesn't slip during a performance.